Welcome to Pick Me Car Keys Adelaide help page for Honda Car Key Replacement. We have put together some information to try and help you if you have lost your Honda keys or if you require a spare key cut for your Honda. 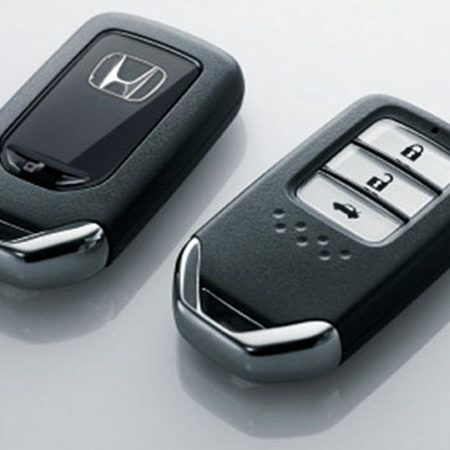 We can provide replacement keys for Honda Civic, Accord, CRV, Jazz and most Honda models. Pick Me Car Locksmith Adelaide are fully mobile and equipped to cut and program car keys and remotes on site saving you time and money. Honda vehicles were among the first to incorporate a factory immobiliser or “transponder” security system. As early as 1996 the Honda Civic and Accord had these systems. A carbon chip was put into the head of the key and this chip had information on it that the vehicle needs to see before it will start. This is why it is important to have spare key for your Honda, once this chip is lost or damaged your car becomes a problem instead of an asset. Early models will need to have their immobiliser box removed and reprogrammed which can be costly. Later model Hondas can be programmed through the vehicles OBD 2 port located inside the car but may require a pin code to program. Pick Me Car Keys Adelaide are fully equipped to come to your car and cut and program keys and remotes for most models of Honda from Civic to CRV. CLICK HERE TO GET A HONDA CAR KEY REPLACEMENT QUOTE NOW !